Meet four female activists who helped create the youth-led climate movement ready to march on Washington. 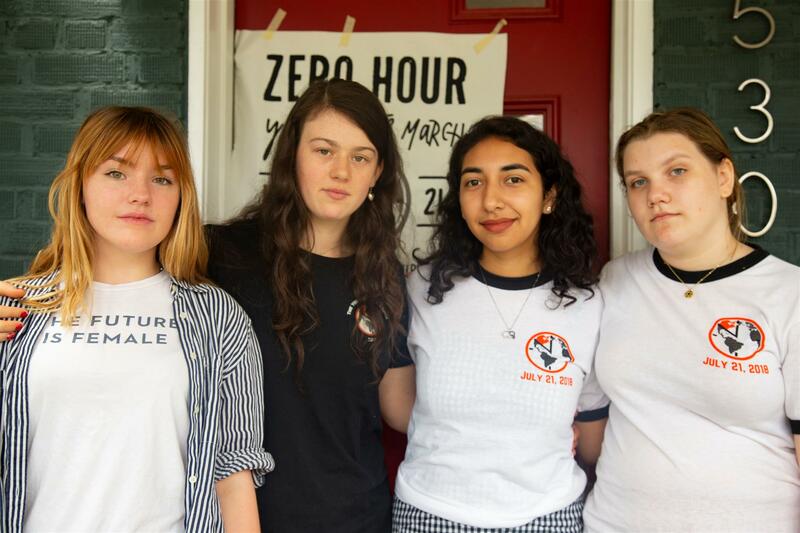 The doorbell rings and hugs are gleefully exchanged between two teenage girls at the This is Zero Hour home base in Petworth, Washington D.C. What started as 16-year-old Seattle native Jamie Margolin’s idea for a youth-led climate march, the Zero Hour movement now includes a diverse team of youth activists from across the country fighting for climate justice. Founded on the belief that every individual should have access to clean air, water, and land, This is Zero Hour strives to put the needs of communities before corporations and to hold elected officials accountable. Many of its 20-something members have never met in person before now, getting to know one another through hours they’ve spent organizing over the phone this past year. But on Saturday, their work comes to fruition as they march on Washington and launch at least 14 sister marches worldwide. 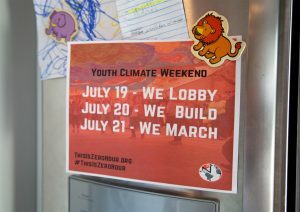 With the Youth Climate March just days away, I sat down with four members of the Zero Hour team — Esmé Rice, Iris Fen Gillingham, Emelly Villa and Talia Glick — to discuss why they were drawn to the climate movement and how they feel about their big moment approaching. This Is Zero Hour. Will you join us? Greenpeace: So, how did everyone get involved? How did you hear about the march? Esmé: My name is Esmé Rice. I’m 16 years old and from Atlanta, GA. I met Jamie last summer at the Climate Reality Leadership Corps in Seattle. It was a three-day conference-summit where you learn a ton of things about climate change and how you can spread the word. So we were talking about things we wanted to do when we got back home, and I was like, “Oh, yeah. I want to do a march in Atlanta [where I’m from] to raise awareness and do something about it.” And she was like, “Yeah, but what if we did a march on Washington?” Then I was just added to a group chat and it just started there. Ever since then, we’ve just been figuring it out along the way. It’s been a really cool process because at the beginning of it you never know what the potential is. We just knew that we wanted to let people what was happening and that we aren’t going to stand for it anymore. That was our mission, and with that mission in mind, it just kind of developed into this. It’s pretty great. Iris: I’m Iris Fen Gillingham. I’m 18 years old and I’m from the Catskill Mountains in upstate New York. How I got involved with this really started with being directly impacted by climate change. When I was little, my parents had a community supported agriculture business, so we made a living growing vegetables and selling shares. People would buy a share and they would get a fresh box of vegetables every week. We had a farm up on the hill, and we leased ten acres along the flats where there was really great soil. And in the span of five years, we had two 100-year floods and one 500-year flood — the 500-year flood washed away all of our topsoil. It washed away all of what we were growing and destroyed all of our equipment. It changed my family’s life because we were forced to stop farming for a living. I’ve been very lucky because I still have a home and we still live up on the hill and we still grow and raise all of our own food and have solar electricity, but that was the first time I experienced the erratic weather patterns that can be attributed to the climate crisis. A couple of years later, a landman started coming into my community talking about fracking. So I got involved when I started going to meetings around the issue of fracking because my family is [made up of] farmers, and we realized we didn’t want to have our soil, water, and air contaminated. I would go to these meetings and I would look around the room, and all of these leaders would say that they were doing it for their kids and grandkids, but I was the only young person [in the room], and I really felt that we needed to be represented and our voices needed to be in the movement. So I started stepping up and becoming a youth spokesperson in my community and got involved with an organization called Earth Guardian. Talia: I’m Talia Glick. I’m from Seattle, and I am 15. Jamie and I met at a convention with JSA, Junior State of America, which is a political debate group focused on American politics and youth involvement. This was about October or November , so Zero Hour had been in existence for about five months. They had started the movement, but were still very grassroots and looking for more volunteers. We weren’t even called Zero Hour at that point. So I got involved from there and started working on social media and communications. Then one day, somebody was like, “We need somebody to head this team and be in charge of social media overall,” and I was like, “I can do that.” I got more and more involved from there since being the team leader is a lot of work and I just got busier and busier. And here I am. I haven’t been nearly as personally impacted by climate change as Iris ⏤ I’m in a very different situation. 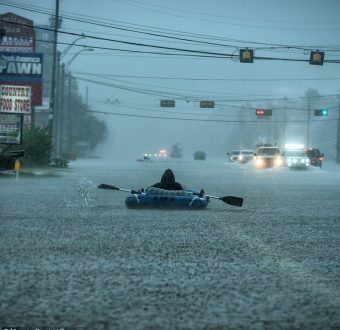 Growing up in a city in an upper-middle-class family I’ve been really lucky to escape the effects of climate change. I think that I’m more involved because of my beliefs than I am because of my personal experiences in regards to social activism. But it’s important to me that frontline communities are [no longer] affected because I have the safety of living in the city and I am not worried about my home flooding or a hurricane happening. I want everyone to be that safe; I want everybody to have that opportunity and position. Emelly: I’m Emelly Villa. I’m 17 years old and from Los Angeles, CA. I joined Zero Hour because I started off as president for my school’s environmental organization, and through that I joined Citizens Climate Lobby. It’s a great organization, but it’s primarily made up of older people. It was hard to connect with people my age and there was no one showing up to the meetings that were my age and had the same ideas as me. So one day one of the members from Citizens Climate Lobby emailed me, and he had read Jamie’s article in Rolling Stone, and he said thought this was a really good opportunity and that I should join. Prior to that, he and I were working on a fundraising opportunity for Citizens Climate Lobby, so then I started working on the fundraising team for Zero Hour. Greenpeace: So what’s the most stressful or least stressful part of this week for you? We have how many days left ⏤ four? Talia: We have like 10 interviews this morning. Not just us, but everyone has a lot of media stuff. So yeah, it’s stressful having it come together. Esmé: We have our to-do list right there…Tuesday is so long. But we don’t forget to take a breather. We’re still young. We need our sleep, we need our rest. We can’t stress ourselves out too much, so we set aside time to just be together or be alone if you need to and just have that time for yourself to rest. Talia: Buffy the Vampire Slayer marathons. Esmé: Having this much to do makes time go by really fast. It’s like I know there’s a march happening on Saturday, and that’s what we’ve been planning for a year, but it feels like we’re taking each day at a time so it’s going by so fast. And then the march is going to happen and then we’re going to feel so great about it, I just know. It’s going to be great. Esmé: In the national conversation. That was our mission — to just get people talking about climate change nationally. Iris: ⏤ and from the youth perspective of “these are our lives.” We’re looking at a future where we don’t know what it’s going to be like, and we’re going to be voting for the elected officials that are going to be looking after our lives. Talia: I think especially being a youth movement — I mean, [Iris], you’re 18 and can vote in the next election — but I’m 15. I’m the second youngest person here and the youngest person in this room right now. It’s hard because I can’t drive. I’m young: I just finished my freshman year of high school. I’m not in a position where I can actually do a lot of stuff that is effective. When Trump was elected and schools walked out across the country, that was all high schools. I was in middle school at the time. I was young, but I was still civically engaged. Most 12-year-olds don’t read the news — I read the news. So I organized a walk-out at my school and 40 kids walked out, which for a middle school where there are 11-year-olds is pretty impressive. All: And the next, and the next, and the next. Talia: None of us have kids and none of us have grandkids, so we can’t be the older activists that say they’re doing it for their families. Cause we’re doing it for us, but we’re also doing it for other kids because we are kids. Esmé: Like she said, we can’t vote, and it’s hard to put your voice out into a democracy when you can’t actually sign a ballot and vote for what you want and what you see in your future. So we have limited options in terms of what to do with our voices. The biggest way possible is to create a movement and show people and rally people together — people that can vote and tell them. We have our lobby day in two days, on Thursday, and we’re going to the Capitol and we’re talking to our senators. We want them to see us as the youth that are going to be voting, either now or in a few years. We’re their future, so they have to listen to us if they want to stay in the business and meet our demands. And we have a whole list of demands on our website. Iris: We have an incredibly radical platform. Greenpeace: So are you all each going to your respective senator’s office when you do this? Talia: We’re going to meet with quite a few senators, so there will be some folks that don’t have anybody from their state here right now. Esmé: My Georgia senators, for example, are not available. Iris: But for us, it’s been amazing ⏤ the momentum and the group of people that has been brought together. For me looking at climate change, because it is a social justice issue and because lives are every day being impacted, and I’ve had the opportunity to visit a lot of the frontline communities where they don’t have clean drinking water and families are scared to let their kids play in their backyard because there’s a radioactive waste fracking dump next door. It’s like these issues that are so normal, that people are just living with climate change and the contributors to of climate change — fossil fuel extraction, our food systems, consumerism — being right here in this room with these youth people and seeing how we can use our skills to build solutions and use creativity… We can think outside the box, and we’re doing something that’s never been done before: we’re doing something and we’re organizing this. Esmé: With a test the next day or after sports practice. I think that’s pretty impressive. Greenpeace: Incredibly impressive. That brings me to my next question: what do you think is the most unique part of being in this room? What is it about this specific march that you think has never been done before? Talia: I’m just biased because I run our social media and I’m supposed to say this, but I think that being a youth organizing in the digital age is so different than if you look at other youth movements. If you look at the Vietnam War protests and the Civil Rights movement and the AIDS crisis ⏤ a lot of those protests had youth on the forefront, and famously, right? But it’s so different. This is a completely different world because we have the Internet. All of our organizing is done on our computers; we have video calls from across the country. We don’t see each other in real life half the time because we’re on our computers, we’re on Facebook, and that’s very, very unique even in the last five years. So it’s never been done before: a march organized entirely digitally. If you look at the Women’s March or the March for Our Lives ⏤ those are probably the most famous protests that have taken place in the digital age, since the Internet has become mainstream ⏤ and both of them were spurred by very immediate actions. The Women’s March came after Donald Trump’s election and the March for Our Lives came after the Parkland shooting. We don’t have one specific event creating this, so we don’t have the momentum of the media on our side constantly. We don’t have the platform [of the Women’s March or March for Our Lives] because from the beginning, they had such a big impact and people were listening to them. It’s totally different because we’re organizing with the Internet from the ground up. This is grassroots, and there’s never been a youth protest that has been organized from the beginning like this. Iris: And with youth of color at the forefront, because usually, it is Indigenous people, people of color and marginalized communities that are most impacted by fossil fuel extraction, climate change, and other social justice issues that are happening in this country. That’s what climate change is: a social justice issue. Talia: I would say that climate change is an intersectional issue, and our platform clearly states that climate change isn’t black and white and everyone is affected the same. It’s is the minorities that are being affected, and the frontline communities are the communities that are living in poverty. Wealthy neighborhoods, wealthy cities are not the ones that are having fossil fuel companies polluting their water. Those are [saved for] the poorer communities, those are people of color who have been kept in poorer communities historically through racist systems, and now because people are living in poverty, fossil fuel industries and so many other industries that are the main contributors to climate change are able to take advantage of them because they have no protections. They don’t have the protections and privileges that some of us have. A lot of mainstream climate advocacy doesn’t focus on the intersectionality of the movement, and doesn’t focus on the fact that the Indigenous people have been the ones protecting this land for generations and generations: white people have only started caring in the last 50 years. Indigenous people have been on the frontline since the beginning and now people who are in positions of privilege are the ones getting the credit for it. We don’t want that: we don’t want to get credit for it. So many of our organizers are those people who deserve the credit because they are fighting for their own rights, their own life, and their own health. Esmé: Adding on to that, in the U.S., we focus on what’s happening on us and what’s around us. Like right now, with the heatwave happening, dozens of people have died already in Canada. We focus on that and we’ve talked about that, but at the same time, there are thousands of people dying in the Middle East and Sub-Saharan African nations and they’re very much affected by climate change where it reaches 120, 130 degrees (Fahrenheit) and they don’t have as much water access. They don’t have as much access to resources as we [in the United States] do, and we’re still not focusing on that. So to spread that conversation internationally would be ideal, and for people to open their eyes and realize, “This is happening over there.” It’s going to come to us eventually, you guys are just waiting for it to happen to do something about it. Emelly: I just think it’s great because in most of the movements that have happened before they’ve never been given a voice, and I think that as a younger generation we have different ideals or views from the older generations. I think we realize how important it is to give them a voice, and I think that’s been really cool. Greenpeace: So it’s my understanding that you have a couple of international sister marches. What does that feel like? A mix of: We have over 20 sister marches. It’s so cool. I’m so excited. Greenpeace: Everyone just lit up when I said that. Iris: As their action, they’re planting trees. Esmé: ⏤and it’s so cool! I don’t know, I’m just so excited to see them. Talia: I think that it makes the action more tangible. It’s not just us, it’s not just 20 teenagers in a room, across the world there are other people that are like us and they are people that are also fighting for their rights. It’s not just us, it’s international. It’s humongous. It’s unstoppable. Emelly: I live in California and it was so hard for me to find someone that was as passionate about it as I was. I remember in my school’s club a lot of people just did it for their college applications, and that was really frustrating. So to join Zero Hour and to find so many people that were so passionate about it, and then to see that it’s not only us, but it’s international as well… A lot of times talking about climate change can be really depressing or upsetting, but to meet with people that are so passionate about it I think gives us a lot of hope. Esmé: It reminds us that we’re not alone. Iris: And we’re changing the perspective on climate change too because, in my opinion, facts are important, but it is not just about the facts ⏤ it’s about our lives. People’s lives, that every single day are waking up and feeling the impacts of erratic weather patterns and the contributors to climate change, our fossil fuel addiction. We have this immense power as young people, and often times we aren’t given enough credit for the amount of voice and power we have when we share our voice. When we come together and we uplift each other, our voice can become really powerful, and we’ve seen that with other movements. The thing I really encourage other young people to do is get involved in their community and see how they can uplift their voices, share their perspectives, use their skills and think outside the box to build solutions in our communities, on a national level, and on a global level. Esmé: To me, it’s such an honor that these people internationally reached out to us. Of all of the people in the world, they reached out to us. We got emails from Sweden, Paris, and London ⏤ I just think it’s such an honor that they said, “Oh look at these young people. I want to do that!” So they don’t feel alone anymore, they don’t feel alone in their community and we’re here for them. I think that’s the coolest thing ever. Talia grabs a popsicle from a passing box and opens it sheepishly. Talia: I’m sorry, I am listening. This is probably a good representative of how we’re a youth movement. We’ve had a lot of popsicles since we’ve been in D.C.
Greenpeace: Thanks so much, everyone. You can find This is Zero Hour at their Arts and Community Building session in Dupont Circle on Friday, July 21, from 4 p.m. to 8 p.m., and at their inaugural march on the National Mall this Saturday, July 22, at 10:30 a.m. Find them on Facebook, Twitter, and Instagram, or visit them at their website www.thisiszerohour.org. **This interview has been edited for clarity and length. Katie Nelson is the media and communications fellow with Greenpeace USA.